Calls coming out of Armenia indicate to the lack of unity in the government under Nikol Pashinyan and their inability to synchronize statements and approaches to crucial issues. The occupying nation has always been aware of the lessons it will get for the aggression of 1990s against Azerbaijan. In reality, in politics, threats, ultimatums, warnings and other promises of future troubles are an integral part of both open and secret communication, of what remains behind the closed doors of negotiations. Another question is that one should be able to use such a tool. First of all, it’s better to keep in mind the popular phrase of Vladimir Lukin, a well-known Russian politician and former Russian ambassador to the United States: “If you want to smear mustard to someone on the fleshy part, you should first make sure that you have this mustard. And if there is, then do not confuse your fleshy part with the fleshy part of your opponent." This also boils down to statements being voiced in Armenia against Azerbaijan now. Actually, it appears that they didn’t know these subtleties at the Armenian Defense Ministry and now they are mastering them on the go. A few days ago, Armenian Defense Minister David Tonoyan decided to voice new threats against Azerbaijan and promised to unleash a terrorist war against our country: “In case of provocation, we will meet face to face on the enemy territory,” David Tonoyan rattled. We shall tame the enemy, so that next time it does not go to such actions. This is not about standard steps; if necessary, our assault groups can create chaos in the enemy’s rear. 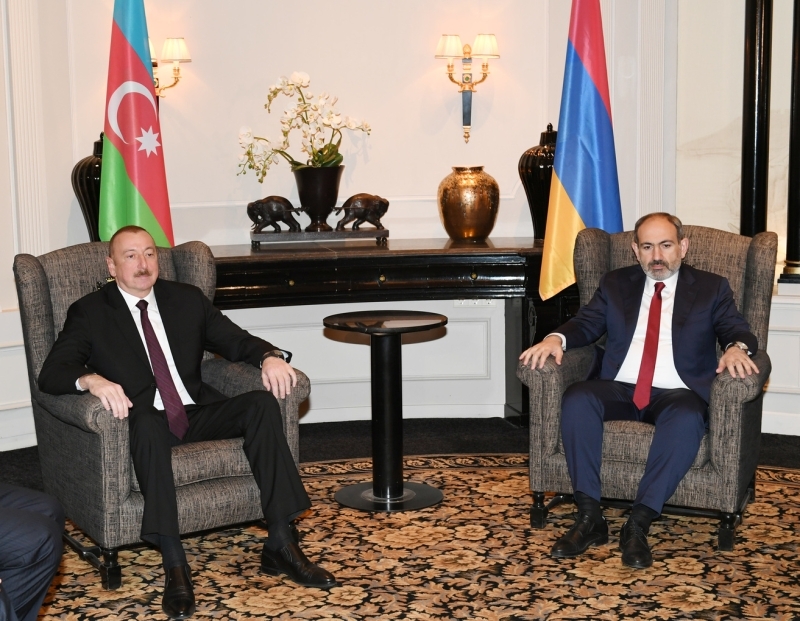 And, most likely, he reckoned: now in Baku they will present themselves, as at strategic sites, from pipelines and oil platforms to military bases; “elusive attackers - zinvors” will appear, create unimaginable chaos, will be frightened of this picture and immediately request peace under Armenia’s conditions. Moreover, Yerevan’s media outlets immediately explained that the minister meant just strikes, for example, on oil pipelines and railways. But Baku was not frightened. And they also gave a very accurate and qualified assessment of the statement by Tonoyan: “The speech of the representative of the Armenian authorities in the spirit of international terrorists, voicing clear threats against the civilian population, proves that chaos reigns in the current leadership of Armenia,” spokesman for the Azerbaijani Defense Ministry, Col Vaqif Dargahli, said. “The Azerbaijani army does not take seriously the threats of war by the Armenian officials and is fully prepared for the battles for the liberation of the occupied lands,” the spokesman elaborated. And in Armenia, we will pick up the softest epithet, they have startled and began hastily to play back and quite seriously declared that their minister was misunderstood and he did not mean that at all. In any case, Deputy Defense Minister of Armenia Gabriel Balayan organized a sort of “political translation session”. However, in Armenia, for the security of which the 102nd Russian base in Gyumri is officially responsible, has its own specifics. But seriously, Mr. Balayan, having publicly turned on the rear gear, did not just “nullify” the threatening pathos of his minister’s speech with this frightened bleating. He also inadvertently stated: in Armenia they were seriously afraid that the statement of Azerbaijan would be heard not only in Baku. In Yerevan’s track record, there is both the organization of a terrorist war against Azerbaijan in the early 1990s and the raising of terrorists to the rank of national heroes, and the open activities of terrorist groups, for example, the same Sasna Tsrer party, and support to international terrorist groups such as RKK. Yes, until recently they were sure in Armenia: they would get away with all these fuss about nothing that this “small, but proud, long-suffering Christian country” has a very special status, a unique “protection certificate”, etc. But now, after the threat to unleash terror "in the deep rear", voiced by the very defense minister, not by Vova Vartanov, Yerevan has no previous confidence in its impunity. First, the Armenian defense minister also gave Azerbaijan a substantial argument in favor of the “anti-terrorist cleansing”, and not only in its own occupied lands. In addition, in this matter Azerbaijan has serious chances to secure international support. Especially if in Armenia, they decide to switch from words to deeds, and the special services of Azerbaijan, which have already prevented terrorist attacks at the same Eurovision Song Contest, will tie Armenian saboteurs "on hot". Against the background of the current international attention, both the pipelines, playing such an important role in ensuring the energy security of Europe and the Baku-Tbilisi-Kars railway, which NATO Secretary General Jens Stoltenberg spoke so highly and positively about, will have very bad consequences for Armenia. Balayan’s pitiful excuses following Tonoyan’s threats are, without irony, solid evidence that they feared in Armenia. Only with this kind of frightened speeches, Armenia is unlikely to avoid trouble.